For the past ten weeks, each morning very early before work I have been filming the Good Harbor Beach shorebirds and their habitat, and when not too tired from work, would go back again at the end of the day. 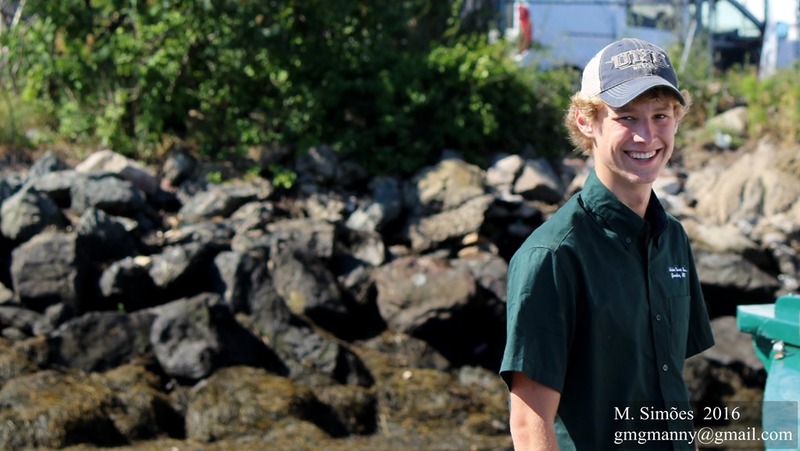 For the most part, it has been a tremendously educational and rewarding experience, and I love Good Harbor and its wild creatures even more than when I began the Piping Plover project. We are so fortunate to have this incredibly beautiful and beloved treasure of a beach in our midst, and so easily accessed. 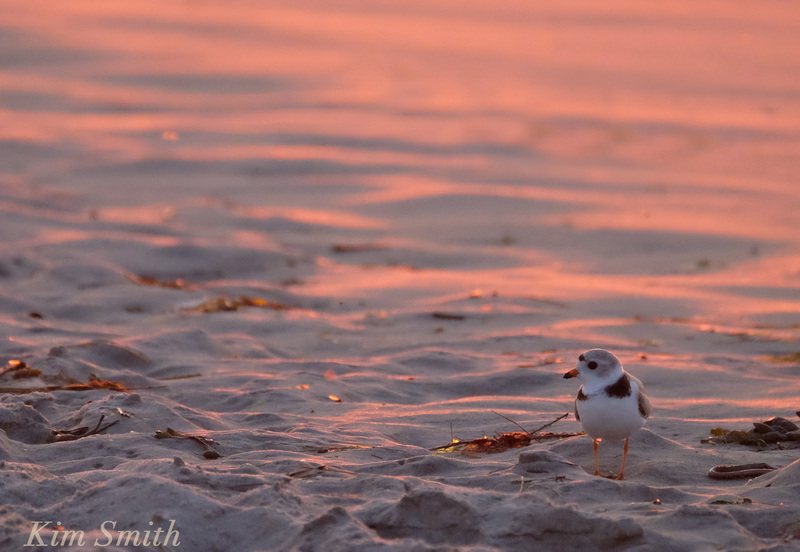 As much as I have enjoyed filming the wildlife, it has been equally as fun to observe the myriad wonderful ways in which people enjoy the beach recreationally and that too is part of the Good Harbor Beach Piping Plover story. 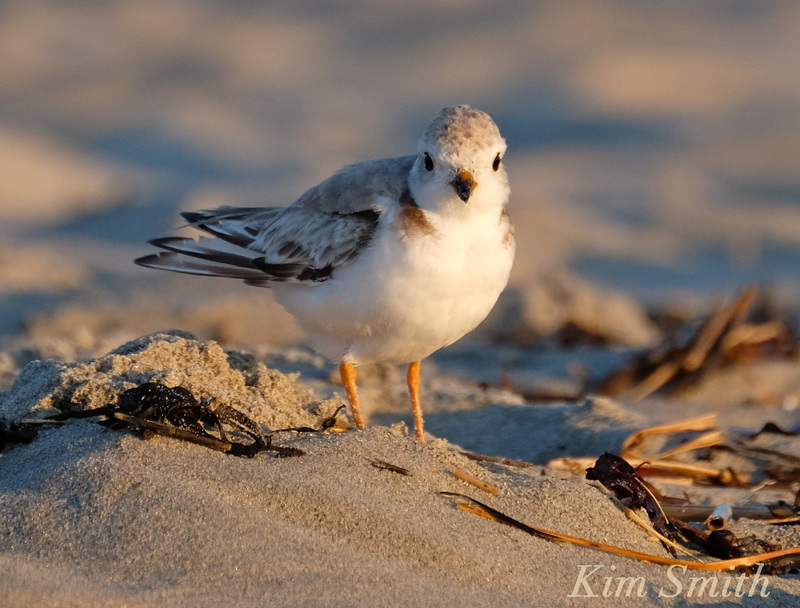 Take a closer look at the shorebirds next time you are at Good Harbor Beach. Small and swift, they can look similar, but once you begin to study their behaviors, each species becomes easier to identify. Good Harbor Beach is currently home to three different species of plovers. 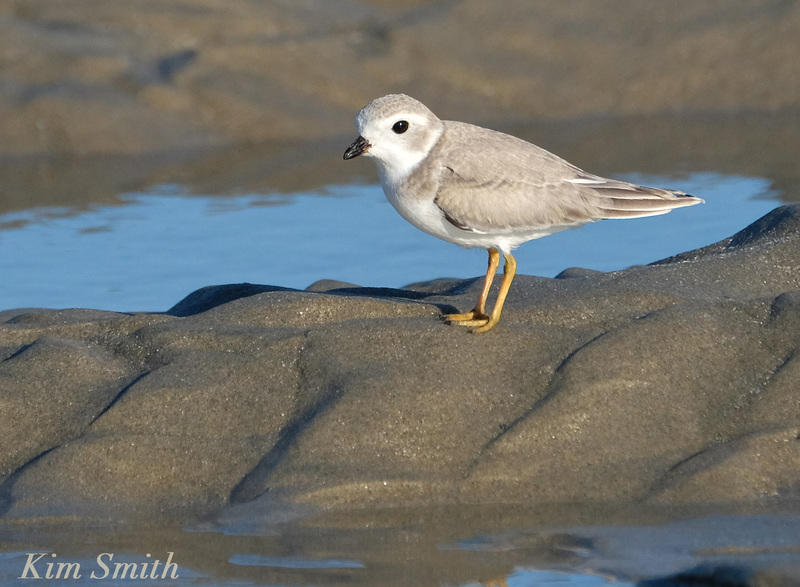 We all know about our beautiful Piping Plover family. The lone surviving chick and Dad were last seen heading deep, deep, deep into the salt marsh. Since that time, several new Piping Plovers have joined the scene, two females and a male. We can tell they are different from our original mated pair by their feather pattern and bill color. 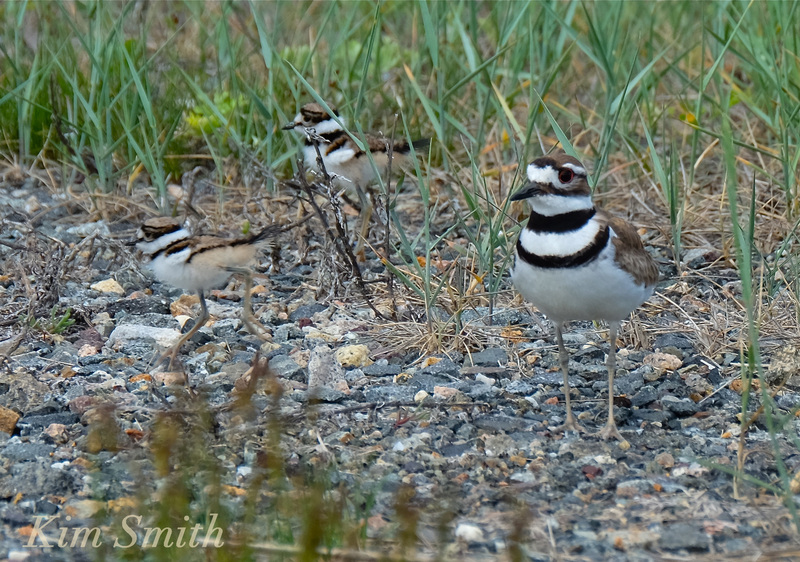 Earlier in the summer, four Killdeer chicks hatched at the edge of the GHB salt marsh. It was pretty scary filming the Killdeer family because all six were running willy nilly every which way throughout the beach parking lot on a very busy weekend morning. In the next photo, taken several days ago, you can see that the family has grown quickly. 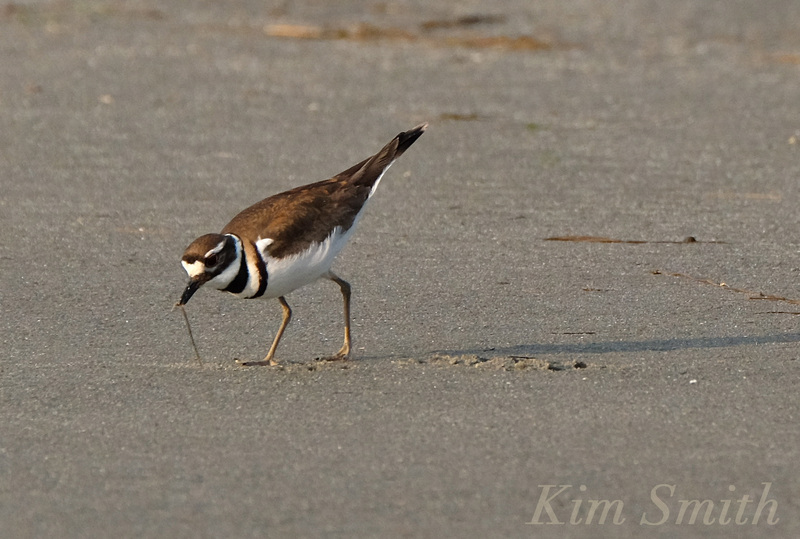 Killdeers are the largest of the the three species of plovers seen in Massachusetts, nearly twice as large as the pocket-sized Piping Plover. That fact didn’t stop the male Piping Plover from defending its nesting territory. 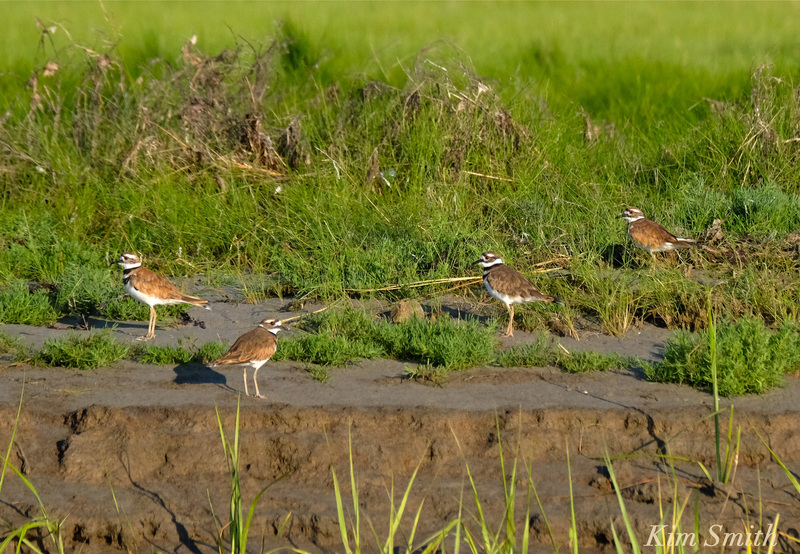 Notice the two dark bands around the neck and chest of the Killdeer. The third species of plovers at GHB is the Semipalmated Plover. 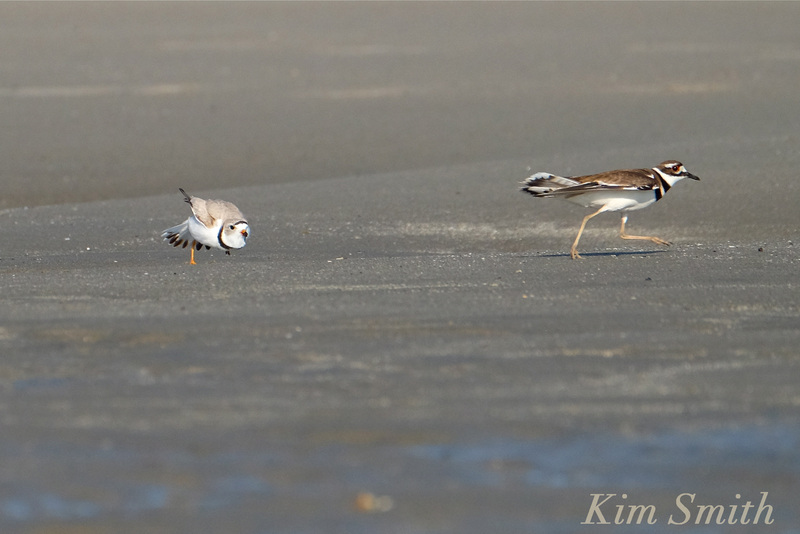 Although only slightly larger than the Piping Plover, the difference is easy to spot by the darker brown wings. 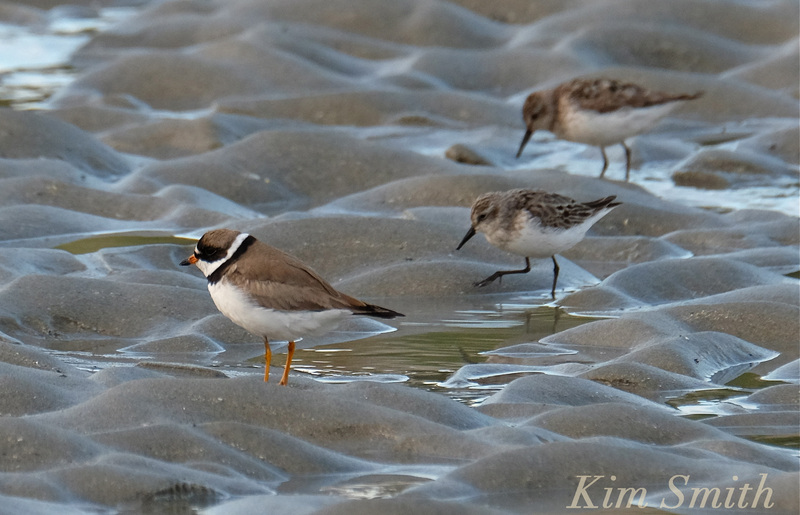 Compare the single neck ring of the Semipalmated Plover to that of the Killdeer’s double set of rings. 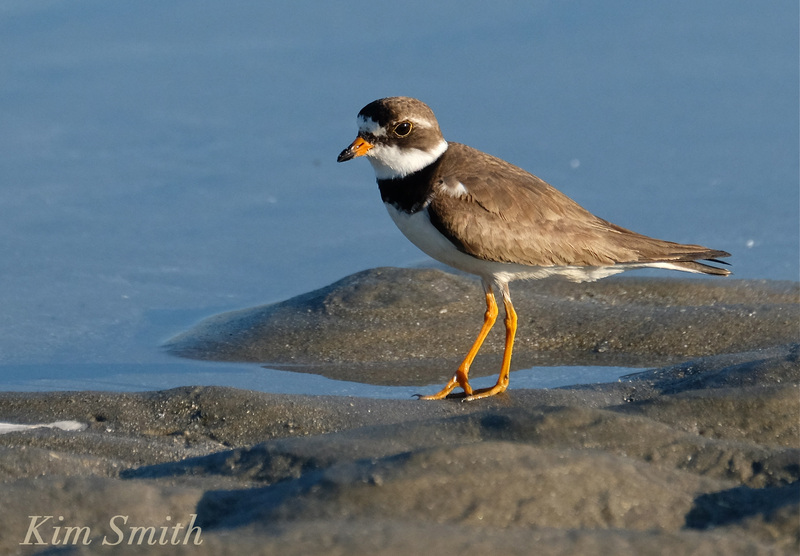 Unlike Piping Plovers and Killdeers, Semipalmated Plovers do not breed in Massachusetts but in northern Canada and Alaska. At this time of year we are observing their southward migration to the southern United States, Caribbean, and South America. Semipalmated Plovers are often seen in mixed flocks with Semipalmated Sandpipers and Least Sandpipers. Semipalmated Sandpipers have black legs. 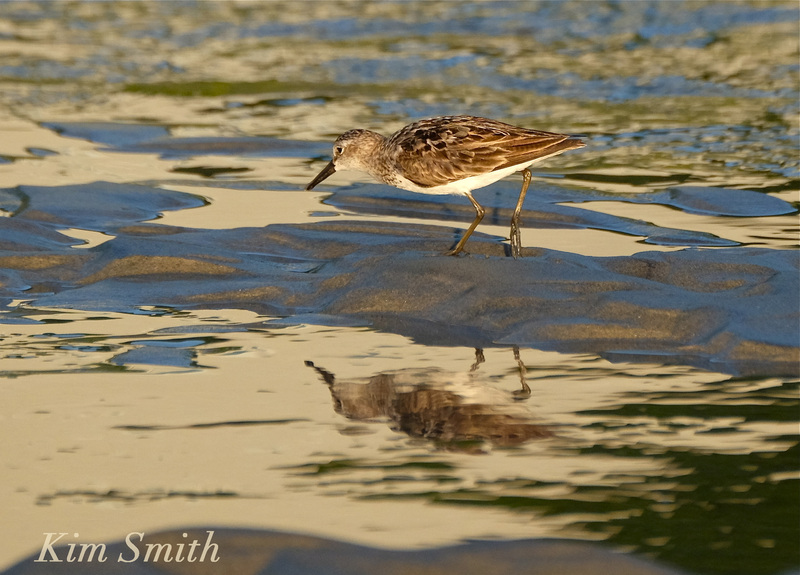 Least Sandpipers have distinctly colored yellowish legs. Note that all of the shorebirds mentioned here are also currently at Wingaersheek Beach. Another Beach day on Saturday, Riley and Hanna came to spend the weekend with Papa and Nonnie, plus the Magnolia Beach Club had their Sand Castle contest that the little kids do. Riley made a little castle and even earned a Ribbon. All the little kids get a blue winner with a description of their castle. On Sunday we went sightseeing and the kids had a great time. Follow this link to listen in to big interview with renowned 30 year + radio host, Leonard Lopate. WNYC New York public radio reaches 20 million people a month. I’ll add the audio when it’s there. Leonard Lopate welcomes poets, painters, politicians, novelists, dancers, Nobel and Pulitzer winners, filmmakers and actors to talk about their work each afternoon on WNYC’s acclaimed arts and culture interview program. The Leonard Lopate Show has been the proud recipient of three James Beard Awards and three Associated Press Awards. Another great turnout with lots of people having a great time. The Gloucester Harvest Music Festival is coming up on September 17th and they are accepting applications for Vendors to set up during the event. It is a $30.00 donation to the Addison Gilbert Hospital Citizens Fund for your space (you bring your own tent and table). If you are interested, contact Alex Kadim, alexkadim@gmail.com for the Sponsor Pack. Check out their website for the musical lineup! Posted on August 1, 2016 July 31, 2016 by Nichole S.
While spending an afternoon at Cape Hedge Beach the other day, this kind of rare sight flew (or glided) overhead. I’m guessing it was a hang glider…..which, I kid you not, I always thought was called “hand gliding” until yesterday….or maybe a microlight. It was hard to see in the sun and my iPhone couldn’t zoom in too much. Experience preferred. Must be hard working with fast hands. Non- Smoker, Non- Drinker. Completely Drug free. Must have own vehicle. Leave Name and phone number. Mike – 781-249-2818. No calls after 6 p.m.